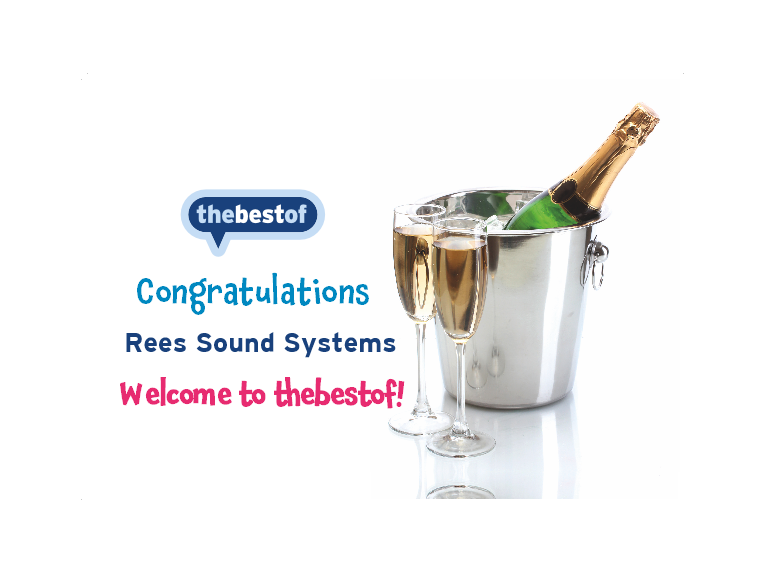 Rees Sound Systems Ltd is Welcomed to The Best of Carmarthenshire. The Best of Carmarthenshire is delighted to welcome our latest new members Rees Sound Systems Ltd. Based in Whitemill, Carmarthen, the Rees family have been a part of the local business sector since the Company’s establishment some 60 years ago. Presently headed up by Dave Preece, who was employed by the Company for over 16 years until he completed a successful Management Buy Out taking control on April 1st 2010, the Company is going from strength to strength. Rees Sound Systems is a major Production Company that supplies Sound, Lighting, Rigging, Digital Projectors, Plasmas, Staging, Generators, equipment and installation, and Communication Systems to Events and Venues right across the Country. The Venues range in size from small Churches and Schools to entire Nightclubs and Nightclub Chains, Universities, Local Authorities, Live Music Events and Company/Corporate Events. The Company profile is diverse and highly professional. Regardless of the size of the installation for an outdoor event or an indoors concert Rees Sound Systems will provide the same high standard of technical service regardless, treating every client with the best customer service with a personal touch. Regardless of the size the Company takes the view that quality is required and given in full, setting them aside from their competitors. The Company are able to offer every client the same personal, professional service that they and their event deserves. Dave Preece of Rees Sound Systems is a professional, he will turn an average lack luster event into a spectacular occasion enabling the organizers to create a wonderfully successful event. It may be as simple as knowing where to place the sound system loud speakers and microphones or it may be designing and implementing a very large and complex system to enable every single person at the event to see clearly and hear with crystal clarity all that is happening on stage. People wanting the professional touch can be assured of complete attention to detail and great technical knowhow. Whatever the event, a celebration or a wake, a festival or a county show, a rock concert or the philharmonic Dave Preece is your one stop shop. Rees Sound Systems of Carmarthenshire is recommended by the Best of Carmarthenshire, showcasing the very best of local businesses.